Spring can be a trying time for farmers as they balance the urgency to get into the field with the need to wait until the field is actually ready to handle equipment. While the urge to get to the chores of tilling, spreading, spraying, and planting are strong, patience this time of year is preached, as farmers are liable to do more harm than good by getting into the field too soon. However, patience can be difficult in practice as the clock ticks away and farmers have to get their fields prepared and producing. To make matters worse, delays in the spring can negatively impact yields come harvest time. We at Alliance Tire Group can’t make your field dry any faster, but we CAN help you outfit your equipment with tires that can decrease the impact of repetitive machinery passes on delicate farmland. Alliance has a full range of flotation and IF/VF tires for tractors, spreaders, tillers, sprayers, manure carts, and towed implements that can help reduce soil compaction (which will help speed drying next year! ), increase traction, and lessen the amount of damage done to your field. Also, less slippage means lower fuel consumption and higher efficiency, which can mean more profit over the course of a season. With ATG’s reputation for high-quality, long-lasting, and rugged tires, you can spend more time focusing on your fields and less time worrying about your tires. 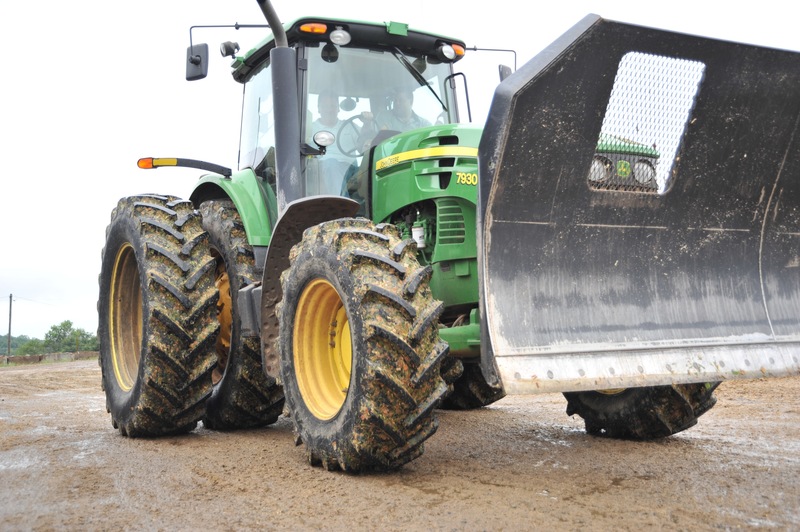 A spring specialist, the Alliance 393 flotation tire is at home in the season’s wet and muddy fields; with its self-cleaning directional block tread, steel-belt reinforcement, and low rolling resistance, it tackles slick and sloppy fields without getting stuck while helping minimize soil compaction. Designed for sprayers, the new Alliance Agriflex 354 VF is capable of carrying 40 percent greater loads at the same level of inflation as its conventional radial counterparts, or carrying the same load with 40 percent less inflation pressure. “Since soil compaction pressure is nearly equal to tire inflation pressure, reducing inflation pressure under a heavy load can have benefits that last for years in the soil,” says Trent Wallin, Agriculture Product Manager for Alliance Tire Americas. Furthermore, the Alliance 354 VF features aggressive shoulders and deep lugs for maximum traction in wet fields. The do-it-all Alliance Multiuse 550 seems to excel on most implements and in most conditions. Perfect for use on tractors, but also great with spreaders and sprayers, the Alliance Multiuse 550 features a special self-cleaning block-tread design and delivers exceptional all-weather traction. The Multiuse 550’s wide footprint helps minimize soil compaction and increase traction, keeping your fields healthy and your days productive. These are just a few of the great offerings from Alliance Tire that can help you get in the field sooner while doing minimal damage to delicate soils. Alliance Tire has a global reputation for building high-quality, high-performance tires, with one some of the lowest total costs of ownership (TCO) in the industry. Contact an Alliance Tire dealer today and find out how Alliance can take a little pressure away from your spring chores!